Diaspore is beautiful and exotic in a soft, subtle manner. 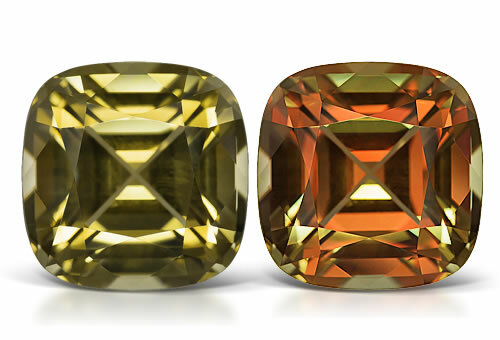 It is also one of the lesser known of the color-change gemstones. Some of the finest examples of gem quality diaspore are found in Turkey's Anatolian Mountains, but it can be found in numerous places around the globe. A rising star in fine jewelry, it's easy to fall in love with its sparklingly brilliant, tranquil earthy colors.